The newest and most rapidly-growing personality assessment model is Gallup’s StrengthsFinder. It is reasonably evidence-based. In 2000 Gallup surveyed 1.7 million professionals to empirically discover a set of thirty-four psychological strengths that affect team and workplace performance. They consider these primarily as traits, but they also consider them talents, or “strengths,” able to be built up or toned back like skills, albeit with greater difficulty and perhaps to a more limited degree. It is generally your best strategy to accept your strengths as they are, and to plan your career and build strengths-complementary teams around them. But if some strengths get you in trouble because they are too strong or too weak in certain contexts, Gallup says you can do trait-change work, such as assertiveness training for those weak in strengths related to that trait. Just be satisfied with small wins, and don’t expect overnight results. With thirty-four traits, StrengthsFinder offers twice as many (or eight times as many, depending on how you count) personality types in their model as MBTI. By no means is it perfect, but I think it does a better job capturing the natural variety of human personality. I find StrengthsFinder brings depth and nuance to each of the Big Five traits (or if you think we are domesticated chimps, Big Six) in ways that other assessments like KAI, MBTI and others do not. For example, consider again our proposed sixth basic trait, Dominance. How many different ways are individuals commonly psychologically motivated to be dominant over others? StrengthsFinder offers Command, Competition, Self-assurance, Discipline, and Responsibility as five unique ways of asserting dominance in workplace contexts. Each of these inclinations may or may not be adaptive, ethical, considerate, or empathetic, in the workplace, depending on the strength of the particular dominance traits involved, the strength of any compensating traits, and the particular context. So too for the other Big Five personality traits. In MBTI, ENTJ (the “field marshal”) would be the main way of representing dominance. This can be a good start for self-understanding, but for me it does not provide enough granularity to explore the trait in social contexts. Those who like the Myers-Briggs approach and want to go deeper will need to take the Type II test, which is more expensive, and harder to interpret. Even less effective and validated so far, though still helpful to some, is the Enneagram, which has only nine personality types. All of these models, while incomplete, can be very helpful ways to see yourself and others through an independent lens. 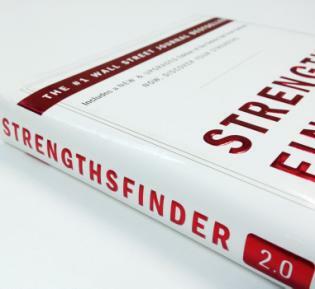 In addition to the Big Five, I highly recommend the StrengthsFinder assessment as it is low-priced and high value. You can purchase Tom Rath’s Strengths Finder 2.0 (2007) for $15. Use the code in the back of the book to take the 40 minute online self-assessment. The assessment will tell you your top five of the thirty-four strengths, in rank order. Look up these five strengths in the book, and see whether you agree with their insights about you, and the workplace activities they recommend. Skim the explanations of other twenty-nine strengths. See if any seem like weaknesses to you. If so, that insight will quickly lead you to some personal misperceptions and prejudices that make you less effective at working with people who actually have those strengths. Read those strengths again, more carefully, and see if you can generate reasons why they truly are workplace and team strengths, in the right contexts. Next, consider having your friends and teammates take the assessment. See if you can predict in advance at least two or three of their top five strengths, before they take it. It’s easy to get very good at such prediction, in my personal experience. This kind of work will help convince you that these trait models truly are both predictive and valuable. Look at the results from your team, if they will share them. Do you have a strengths-diverse team? If not, what kinds of personalities do you need to recruit to your team to make it more cognitive- and strengths-diverse? Can you recognize when someone who is strong in a strength you are weak in would be a better person to handle all of your tasks than you? Can you delegate tasks to those holding the appropriate strengths? These are key skills that great managers and leaders must learn. If you’ve done this work and found it valuable, I would then suggest taking the $90 version of the test at StrengthsFinder.com. That will provide a ranked list of all 34 of your strengths, which means it also gives a useful starter list of your weaknesses, and you can do everything above again, from the weaknesses and fear side of the equation. Can you predict in advance what your five weakest strengths are going to be? Do you know yourself that well yet? What about your team? Once you know your weakest strengths, do you have a trusted manager, partner, direct report, or colleague who complements you by being strong in the areas where you are weak? Do you take leadership from that person on those strengths, rather than ignoring them, or discounting their advice, as many of us do when advised on strengths that are alien to us? Consider retaking the test once every two to five years. See if your top and bottom strengths stay where they are, or if things start moving. This can be particularly helpful when you are doing trait-change work. 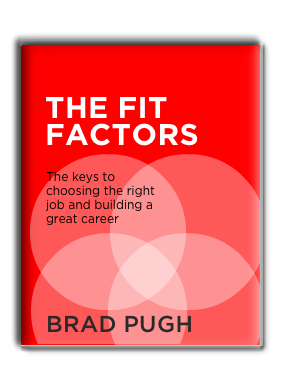 Brad Pugh’s brief (70 page) book, The Fit Factors: The Keys to Choosing the Right Job and Building a Great Career (2012), is built on top of the StrengthsFinder model. If you are entering or changing your career, it can help you search for a career based on four “fit factors”: 1. Strengths fit, 2. Company fit, 3. Interests fit, and 4. Goals fit. There are other reasonably evidence-based personality assessment tools that deserve brief mention here. Big Five, DISC, Hartman, and MMPI all have their strong advocates. The DISC assessment centers on four different behavioral traits, Dominance, Influence, Steadiness, and Compliance. I like the fact that DISC includes dominance, a variable missing from the Big Five. Recent versions of the DISC identify up to 160 different patterns of behavior in individuals. The Enneagram is another popular test, with less validation. All serious teams should regularly use diverse set of skills and personality profiling assessments, on a regular basis, and of course with all their potential new entrants. Not only can such assessments help individuals understand their best focus, and help balance teams, but they will also reliably identify folks with low self- or social-awareness or management skills. They are often also the ones who think such tests are a waste of time, or of little value. Such individuals, when they are in positions of power, are often poor and destructive managers. Assessments like these can be used to keep egos in check as you are building your core team, and to remove the egotists from positions of power within your organization and move them onto a team of strong-willed equals, where they can learn the emotional and social intelligence skills they need, or be let go if necessary. In today’s still nascent era of predictive psychology, no single personality assessment can claim to be comprehensive. But all of the tests listed here will surface a few elements of personality that are long-term predictable. The more independently developed yet evidence-based trait assessments you are familiar with and have found useful over time, the better you will understand and manage yourself, your team, your organization, and your clients.